A new Colorado law that took effect on January 1st, 2018 requires hospitals to post self-pay prices for the most common procedures and treatments they offer and physician offices to to post the prices for their 15 most common procedures. How's that for a step in the right direction in the name of healthcare pricing transparency? The concept of "price transparency" in healthcare has always been a confusing concept to us as patients mainly because of the complexities surrounding where the service is provided, what kind of insurance the patient has, and what the insurance will actually cover. Lack of pricing transparency has become a rallying cry for those who point out that with the precipitous rise in high deductible health plans (HDHPs), patients now have much more skin in the game financially and deserve to know what a procedure will cost and what they may be responsible for paying post insurance claim adjudication. Colorado's new law requiring hospitals and providers to post procedure prices is certainly a harbinger for what's forthcoming in healthcare pricing transparency during 2018. Expect to see more state legislation passed pushing healthcare providers to be more transparent on what they charge and more technology solutions in place to allow patients an opportunity to see what they owe and may be responsible for paying after a claim is submitted to their insurance provider. 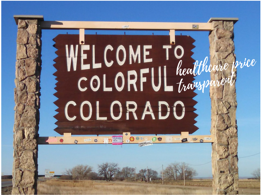 This is a positive trend and we applaud Colorado for blazing the trail and passing legislation that requires providers to be more price transparent. Lest we forget that a rise in price transparency will naturally induce patients to pay closer attention to the quality of care they receive and seek alternative providers if they are not satisfied. It can then be argued that adherence to healthcare price transparency trends can lead to higher levels of patient satisfaction and retention. Is your practice equipped to handle the price transparency surge in healthcare, especially in the context of providing patients a clearer understanding of their financial responsibility both pre and post procedure?